La Casa do Ferreira das Tabuletas. 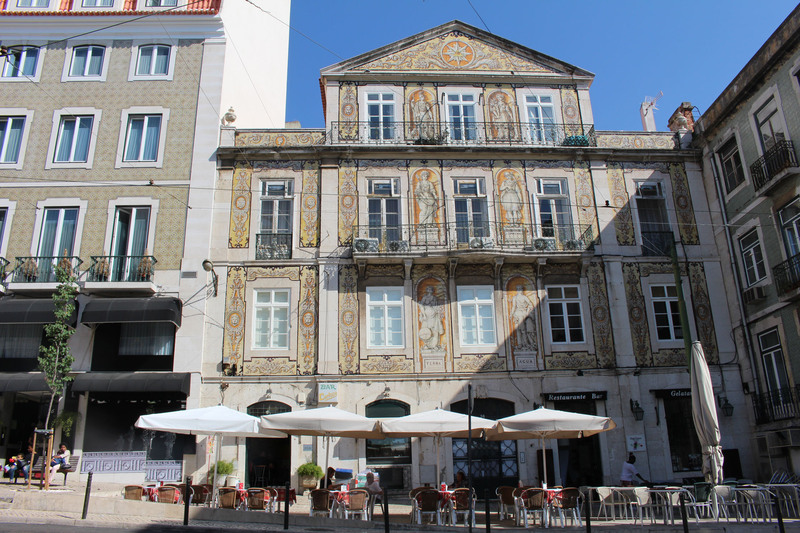 The facade in azulejo tiles was realized in a naïve style by Luís Ferreira das Tabuletas. Personnages in trompe l'oeil on yellow background evoke the elements of four seasons.